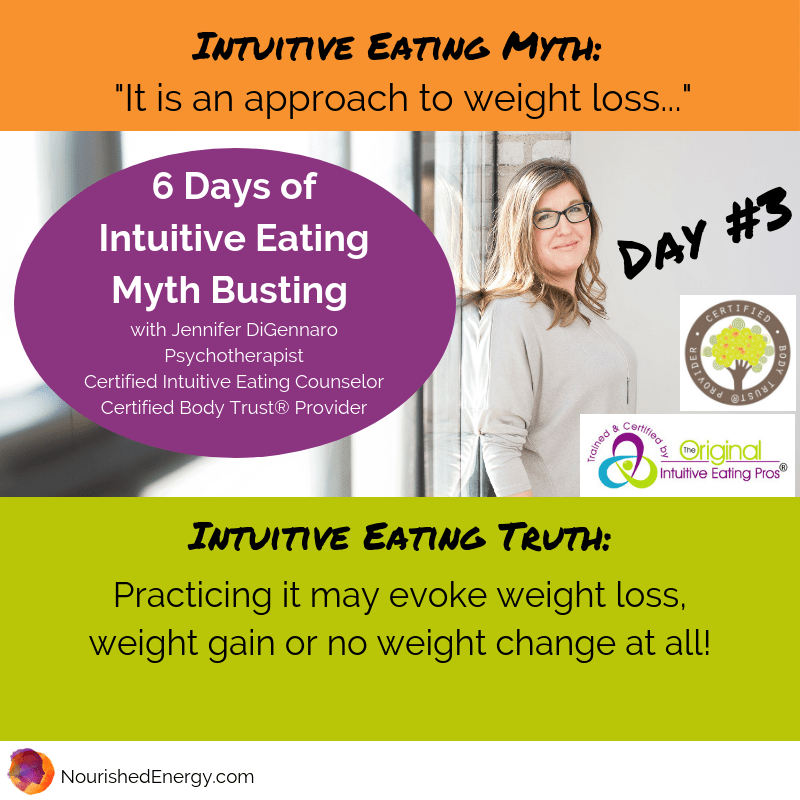 In January on my social media platforms, I ran a 6 day intuitive eating myth busting project. The research on weight bullying fueled the project! I am an advocate for intuitive eating and trusting your body because these approaches actually promote healing and they are the opposite messages of what the diet industry sells us and our weight biased culture tells us. 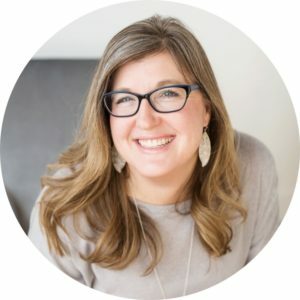 I help people heal their body image issues and shame. All bodies deserve respect, kindness and care regardless of size, sexual orientation, ability, race, religion, gender or anything else. Day #1 was about addressing the myth of intuitive eating being all about hunger/fullness. It isn’t! I have seen intuitive eating twisted and re-invented to basically be another diet and that is the very opposite of what it was established to do. This is why I took the steps to become certified, to confidently apply and teach the principles as intended. When I did my training to become a certified intuitive eating counselor I was thrilled with the amount of data and research presented. Intuitive eating is not some spacey, ungrounded concept! Simply google “intuitive eating studies” and take a look for yourself. One of my biggest takeaways from the research and meta-analysis I have read on intuitive eating was intuitive eating leads to improved psychological health…though frankly I already knew it though, it was great to have the research support it. Focus on weight loss is a distraction and keeps people disconnected and on the yo-yo diet/lifestyle change hamster wheel. Intuitive eating is NOT a weight loss tool, it is an approach that actually helps people find lasting peace in their relationships to food, eating and their bodies…from there, their bodies might change, or they might not. As the brilliant Evelyn Tribole MS RDN, co-author of Intuitive Eating, recently shared “If a health professional or coach is offering intuitive eating for the purpose of weight loss run away. Fast.” As the intuitive eating journey progresses, it is common for the concerns with the weight of the body to lessen, as people actually finally start to find satisfaction, freedom and enjoyment in eating and those things are available to ALL sized bodies! Intuitive eating is NOT a diet. It almost seems laughable that I should have to point this out, yet it is essential! Intuitive eating is not about external cues to eating. Diets tell you what to eat, intuitive eating helps you know it from the inside out. And YES this is something that is totally possible, even after years of distrusting your bodies signals, you can learn to tune in to hunger and fullness cues, as well as allow yourself pleasure and satisfaction from eating. Dieting tells you to distrust your body, distrust your hungers and follow the latest-greatest new fad or “breakthrough”. The gig is up, dieting and radical/restrictive “lifestyles” don’t help people. If they did they would not have to keep re-inventing themselves. According to Merriam-Webster Dictionary mindfulness is “The practice of maintaining a nonjudgmental state of heightened or complete awareness of one’s thoughts, emotions, or experiences on a moment-to-moment basis.” In order to practice the evidence based approach of intuitive eating, being able to maintain a state of mindfulness is a needed skill, as tuning in to your present moment needs and wants without judgment.Unfortunately, intuitive eating and mindful eating BOTH have been co-opted by the weight loss industry and diet culture. They are twisted into weight loss strategies and become shells of the powerful practices that they really are. The assault on the sacred, powerful concept of mindfulness has been particularly horrifying the last few years. The active pursuit of weight loss is the opposite of a nonjudgmental state! The first 9 principles of intuitive eating aren’t about nutrition. The 10th principle does turn some attention to it. Nutrition science can help guide us in knowing what our body needs to function at some basic levels AND for those recovering from eating disorders working with a registered dietitian to get back on track with adequate nutritional intake is very important! As we heal our relationship to food, it is eating patterns over time that we can turn our attention to, not what we eat in one meal or one day. We have SO MUCH more space and flexibility than the diet industry and quasi-health gurus would have us believe! Guiding principles when it comes to nutrition: awareness, flexibility and imperfection! Ready to learn more about the 10 principles of intuitive eating? Head here. Seasonal holistic self-care tips, plus info on upcoming groups and special events, straight to your inbox four times a year. Free Holistic Nourishment Checklist & Personalized Self-Care Plan when you join! No inbox overwhelm! Your email will be kept private and I only send seasonal updates.